The primary mission of the National Response Team is to concentrate ATF explosives and fire investigative resources and expertise on complex large-scale fire and explosion incidents. Federal, state and local investigators can request NRT activation to investigate significant fire, arson and explosion incidents within the United States and its territories. The ATF International Response Team is part of the NRT program and can be deployed worldwide to investigate fires and explosions at the request of the U.S. Department of State. In February 1978, the Bureau of Alcohol, Tobacco, Firearms and Explosives (ATF) formed the arson and explosives National Response Team (NRT). Its primary mission is to concentrate ATF explosives and fire investigative resources and expertise on large-scale fire and explosion incidents, or on more complex investigations due to the size, scope or number of victims as a result of the incident. NRT has deployed to 820 activations since its inception. ATF investigated 2,041 fire cases in fiscal year 2017. ATF investigated 1,073 explosive cases in fiscal year 2017. Federal, state and local investigators can request an NRT activation to investigate significant fire, arson and explosion incidents. The NRT provides an immediate and sustained nationwide response capability, typically deploying within 24 hours of notification, with state-of-the-art equipment and qualified ATF personnel. The International Response Team (IRT) is also part of the NRT program and can be deployed worldwide to investigate fires and explosions at the request of the U.S. Department of State. The NRT works in conjunction with other investigators to reconstruct the scene, identify the seat of the blast or origin of the fire and determine the cause of an incident. 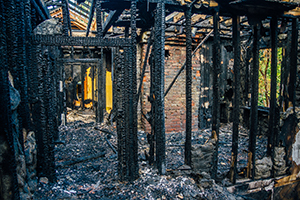 In the case of bombings and arsons, NRT members gather evidence to support criminal prosecutions. A deployed NRT is generally broken down into two components — a group that processes the scene and an investigative-lead element. In the course of the overall investigation, both components coordinate daily to ensure investigative continuity. The NRT is made up of veteran special agents, including certified explosives specialists, certified fire investigators, forensic mapping specialists, explosives enforcement officers, fire protection engineers, electrical engineers, forensic chemists and accelerant and explosives detection canine teams. Their resources when working with the NRT include a fleet of fully equipped response vehicles that are strategically located throughout the U.S. and allow the team to be self-contained for the forensic examination of explosion and fire scenes. Past NRT activations include such incidents as an explosion in Takoma Park, Md., that killed 7 and injured 39 people in 2016; an explosion in Pensacola, Fla., that killed 2 and injured 100 people in 2014; an explosion in West, Texas, killing 12 first responders and injuring 200 people in 2013; the spree of 10 arsons at churches in Texas in 2010; a commercial fire in Charleston, S.C., that killed 9 firefighters in 2007; and national-level incidents such as the 9/11 terrorist attack, Olympic bombing in Atlanta, the Oklahoma City bombing and 1993 World Trade Center bombing in New York City. Significant IRT activations include an explosion in Mexico that killed 33 and injured 100 people; a fire at a prison in Honduras that killed more than 350 inmates; an ammunition depot explosion in Albania that killed 26 people and wounded approximately 400 others; a fire at a supermarket in Paraguay that killed 348 people; and a nightclub bombing in Bogota, Colombia, that killed 32 people. For more information about the NRT, go to https://www.atf.gov/explosives/national-response-team. For more information about the IRT, go to https://www.atf.gov/explosives/international-response-team.